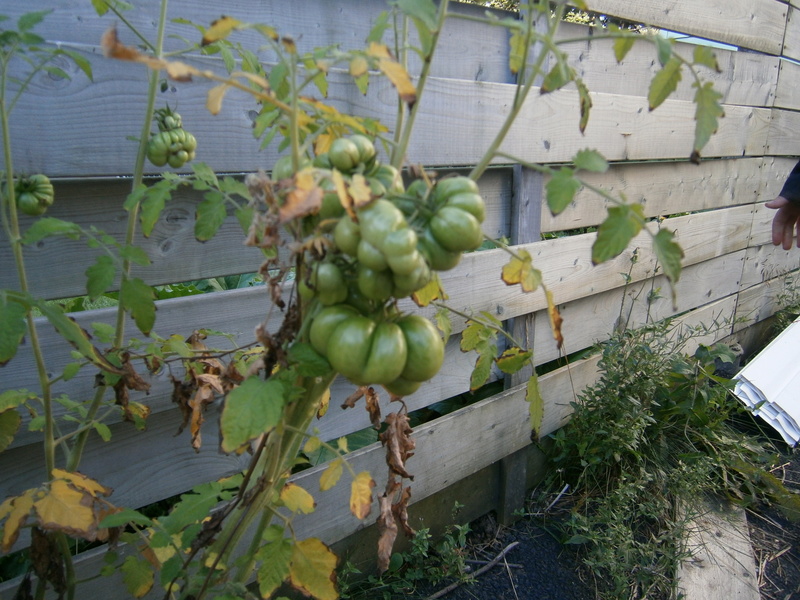 This week’s post comes from Malinka, who writes about her tour through a Halifax urban garden. Jen Stotland from North Halifax had me over one fine Saturday morning to chat gardens. As I made my way up to Bayers Rd., I wondered to myself what brave soul would even consider having a garden on such a busy street let alone live there with all of the traffic. Not knowing if I was at the right house, I quickly noticed the “Food not lawns” sticker on the door and figured I must be at the right place. I scouted the front of the house and noticed some Echinacea flowers, a variety of shrubbery and no lawn in sight. Jen opened the door at 8am on the nose and the tour of her humble urban garden began. 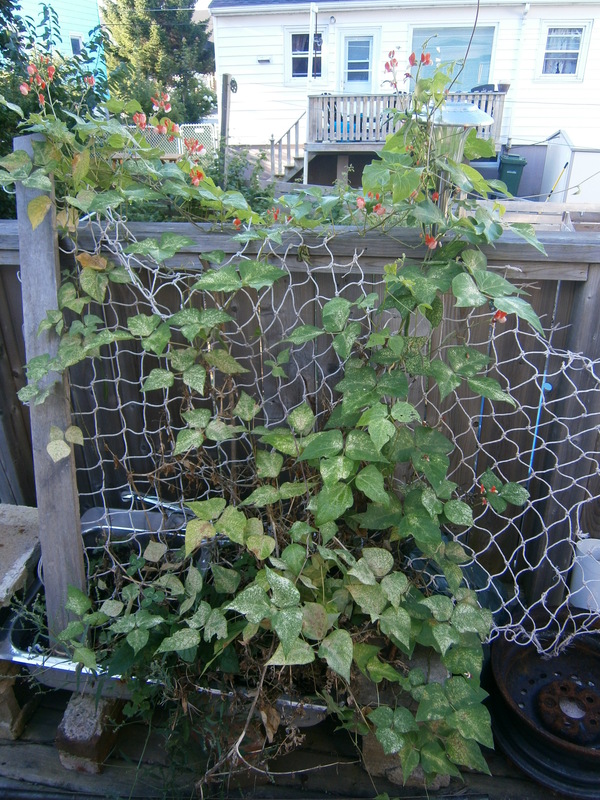 The first thing we saw, as we stepped onto her front deck, was a bean plant climbing out of an old kitchen sink and working its way up a fishing net.What an awesome idea! Talk about recycling materials. Jen confirmed that her mother in law gave her a hand on that one. As we made our way down the stairs, we came across some beautiful looking herbs and a little bush of Stinging Nettle, which could be used as tea. Jen told me that it was best not to touch it because, as its name indicates, it leaves a stinging sensation. So, naturally, I decided I would pinch it with my thumb and forefinger and without a doubt the little devil left her stingers inside of me for the rest of the day. The walk continued along a cozy little walkway surrounding her garden lots. She used old bags from Java Blend to create a nice space to circulate. One of her garden beds contained Black Seeded Simpson Heritage Lettuce (Wow – that took me a really long time to say) and two Black Beauty zucchini plants (oouu lala -The names for these varieties are fantastic). A second bed contained some new little swiss chard and beet seedlings which Jen planted after having harvested her garlic. Following that, we met with a beautiful black current bush and there we snacked for a bit. We then encountered what I call the tomato pumpkin because it had creases just like a pumpkin. Its actual name is the Reisetomate. We ended off the lovely morning with a stroll through her polyculture sidebed. 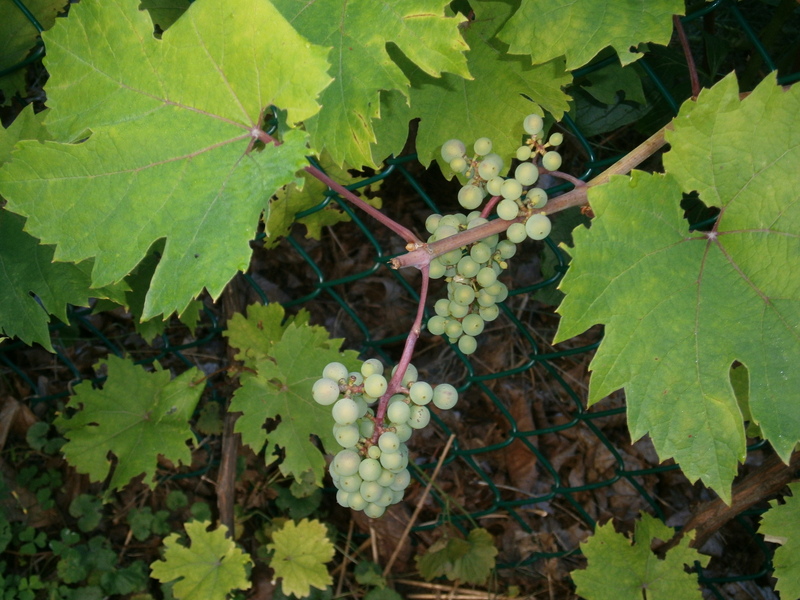 It contained everything from strawberry plants to Jerusalem artichokes and the piece de resistance – the Cabernet Grape. Thanks Jen!!! 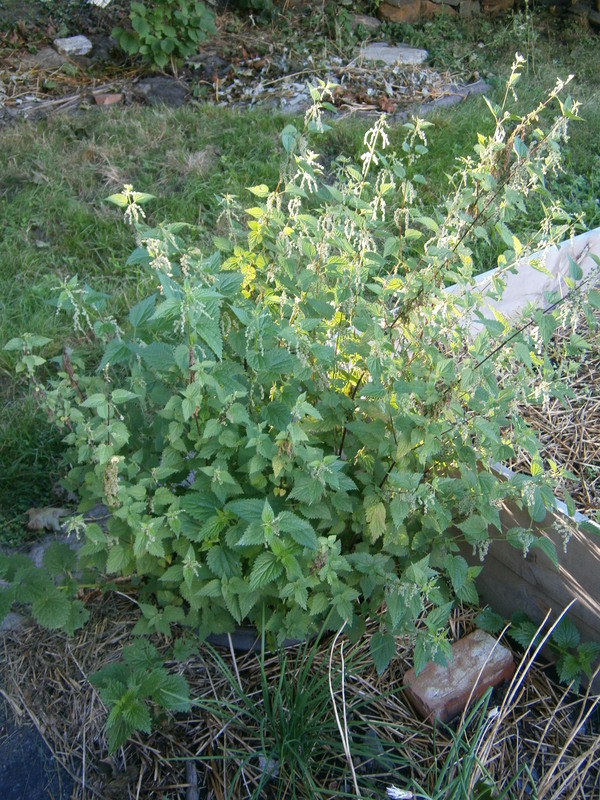 The technique of gardening will also help with the prosperity of a garden. I’m in support of your garden masters bucket garden. You are able to google it if you’d like. I’ve done extensive research and that i own one. I simply cannot stop speaking about this now, it’s wonderful!